With every new year comes a list of things to look forward to, like meeting new people, going after new opportunities, and making new memories. But we’d be lying if we said that shopping for new clothes and accessories didn’t have a prime position on that list, too! Today, we’re bringing you eight stylish pieces our discerning Who What Wear editors simply can’t wait to wear this month. Scroll through to check out the list—and get ready to do a little shopping of your own. "It's a splurge, but I want this crazy-cool Isabel Marant necklace badly. 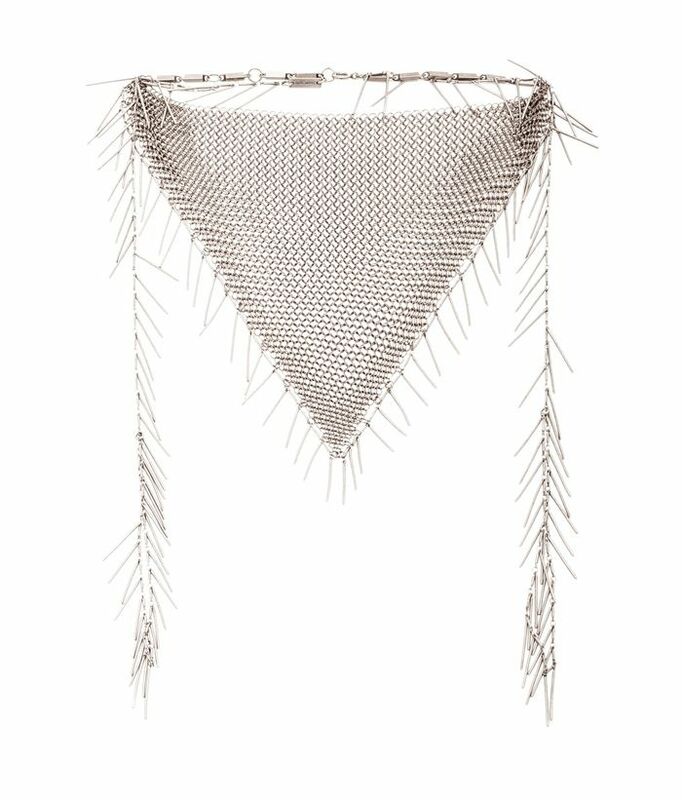 It's like a bandana, except one made out of fine mesh chain! I'd like to wear it with a casual crew-neck sweatshirt and some beat-up jeans come January." "I love how this coat shows off a buttoned-up collar, plus the organic-feeling print is ridiculously cool." "The piece I'm most excited to wear in January is one that I've already been wearing a little bit (but shhh, don't tell!). So it's not technically new but it's extremely in-demand. Why, you might ask? Because Beyoncé wore it. With a slight oversized fit, a perfectly soft cotton fabric, and Beyoncé's stamp of approval, it's pretty much my dream garment. You can sleep in it then wear it out of the house. Enough said." “In the new year, I'm going to hop on board with the ‘70s craze, but with pieces that feel comfortable to me, like these wide-leg raw-hem jeans. I'm also searching for the perfect suede skirt if anyone has any suggestions..."
"I've been talking about investing in a good leather moto jacket for years and I'm FINALLY treating myself to this style from The Arrivals. My outerwear game is about to get so much cooler." What are you looking forward to wearing this January? Tell us in the comments!